Many of us around the word have set up bird feeders in our backyards, providing year-round nourishment for wild birds. In exchange, as wanna-be naturalists we get to witness nature up close, and enjoy the company of backyard inhabitants who otherwise would remain hidden in the treetops. Some take it a step further and set up several types of feeders and a water source, and plant natural, native vegetation in our gardens. When we take the time to transform our yard into a backyard bird habitat we create an ideal mini-ecosystem in which nature can flourish. Within these sanctuaries, birds can safely and reliably find the things they need to stay happy and healthy. Along with the birds come other critters. The local chipmunk and squirrel populations usually enjoy a well-stocked feeder as well, often much to the chagrin of the property owner. It’s hard to imagine the number of animals that must benefit from this feeding arrangement. Making our backyards as bird-friendly as possible seems, on the surface, a smart ecological decision, and one of the easiest things we can do to set right some of the damage we bumbling humans have done to this planet. When we bring back native plants and encourage the proliferation of natural systems, at least on our little plot of land birds benefit. 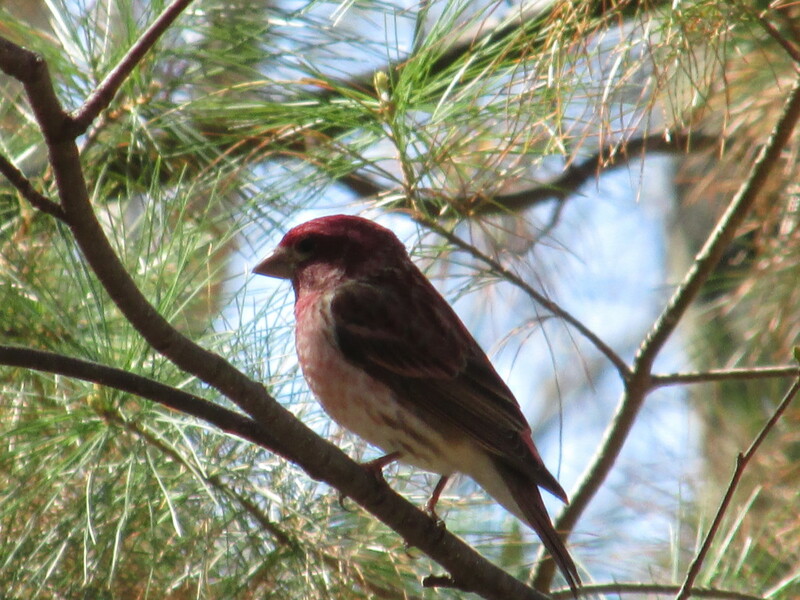 We benefit by getting to witness many common songbirds, and nature as a whole benefits. Despite all of the positives, there is an argument that feeding wild birds can have a detrimental impact on the bird population, and will cause a whole host of problems for wild birds and the environment. While this may be hard to imagine at first, remember that for their well-being and ours we’re told not to feed just about every other type of wild animal. Our intervention can cause them to stray from their natural habits and ignore their instincts, and instead rely on the easy answers we’ve provided. So why should the birds be different? On the other hand, since humans have done so much to negatively alter the natural habits of animals by building up our civilization and encroaching on their habitat, does it not make sense to give back to the ecosystem? There are two sides to every story. Are we causing more harm than good when we put out seed for our feathered friends, or are we just being good neighbors to the natural world? Here’s a look at some of the most prevalent issues. First: How Do They Know This Stuff? Did you ever wonder how ornithologists and researchers manage to understand what birds are doing? It seems like an impossible task to track individual animals and learn their patterns and how our actions might affect them. Will Birds Starve if the Feeder is Removed? Most birds not only eat seeds but insects, berries, and even small vertebrates. 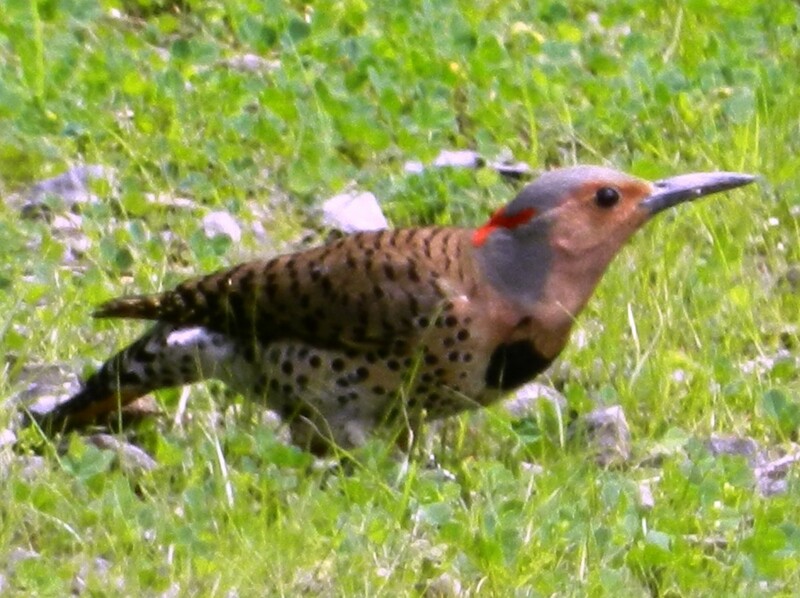 When they’re not at your feeder they’re out foraging for the other food sources they need to be healthy. If you watch closely, you’ll notice those sparrows, chickadees, nuthatches and titmice snagging insects from the ground, trees and even right out of the air. Removing your food source will not starve them. That’s fine for summer, but winter months can be a little different, and in very extreme weather the birds may benefit greatly from the extra calories provided by a bird feeder. 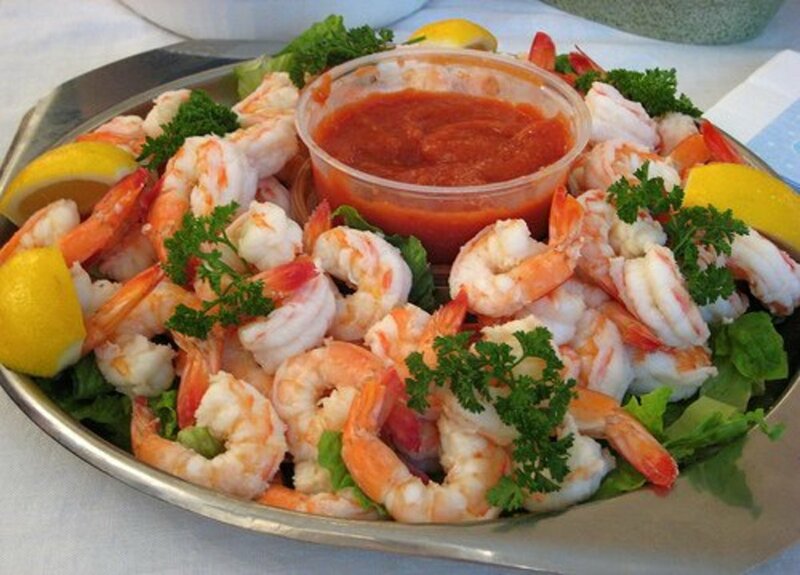 Particularly during a bad snowstorm or long periods of snowy or icy weather your backyard friends will appreciate the extra food. Even in winter, it’s important to remember that the food you provide is a supplement to their diets. Birds can and will search the bark of trees for dormant insects and find other food elsewhere. Again, removing the food source will not starve them but they will have to work a little harder. 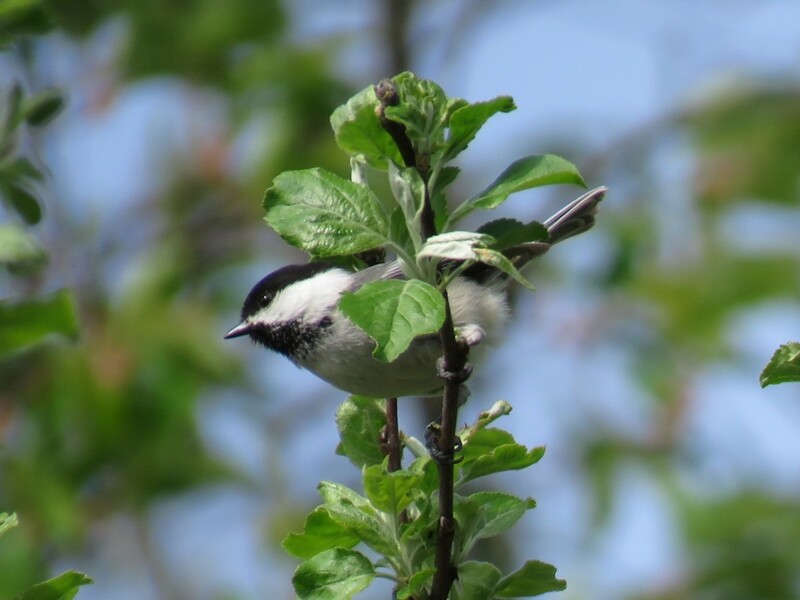 The Black-capped Chickadee loves bird feeders, but still hunts for insects in the treetops. Do Feeders Alter Natural Migration Patterns? Many birds migrate for the inclement months, and their breeding cycles are dependent on the natural chain of events surrounding their journey. Why should they leave if we’re making life so good for them right where they are? Is it possible that by feeding birds we may disrupt their natural inclination to migrate? Probably not. A nice, rich bird feeder may delay the migration of some species, but it’s not likely that they’d overwinter in the wrong place. A food source is only a small part of the reason migratory birds leave in the winter months. Remember that birds will find feeders all along their migration journey. Even if they did get into the habit of focusing on feeders for more of their food than they should, they’ll still find what they need along their path. However, by feeding birds in the late summer and fall we may be helping them out a bit with their journey south. The extra calories from the right bird seed gives the birds an energy store, and feeders they encounter on their flight south gives them a reliable source of sustenance for fueling up. Therefore, feeding the birds may actually help them in their migration, not prevent it. 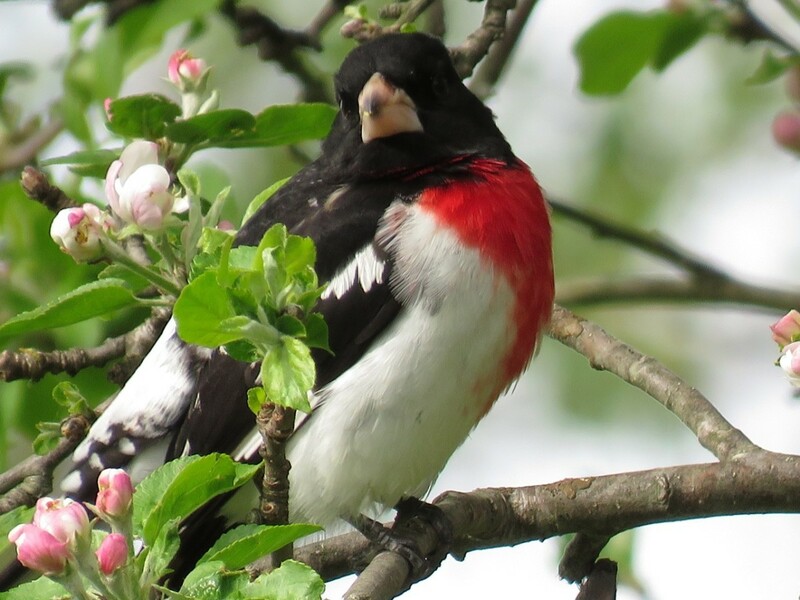 The Rose-breasted Grosbeak will appreciate energy from a feeder for its long migration. Do Bird Feeders Increase Nest Predation? 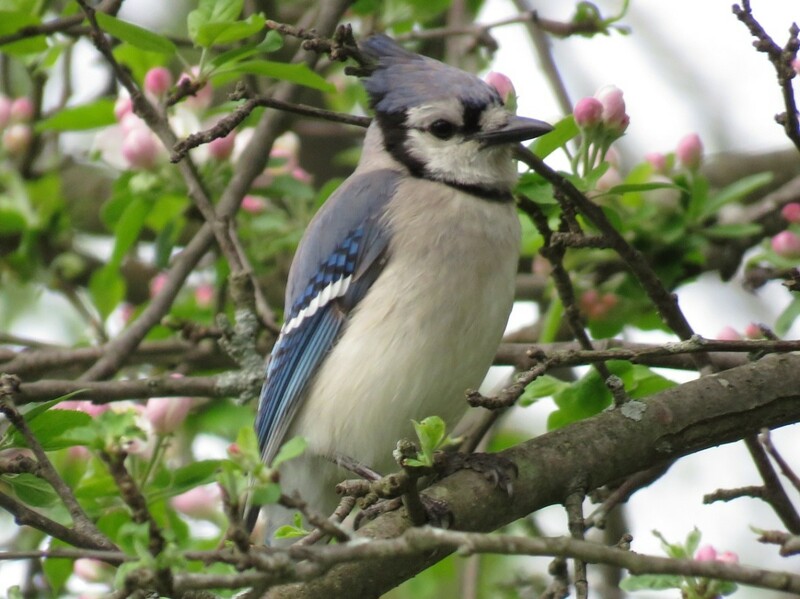 Some argue that by feeding birds we are providing a foothold for species such as Blue Jays and Starlings, who are known to commandeer the nests of other species, killing their young. While the true impact of such predators is unknown 2, obviously this is something we want to avoid. 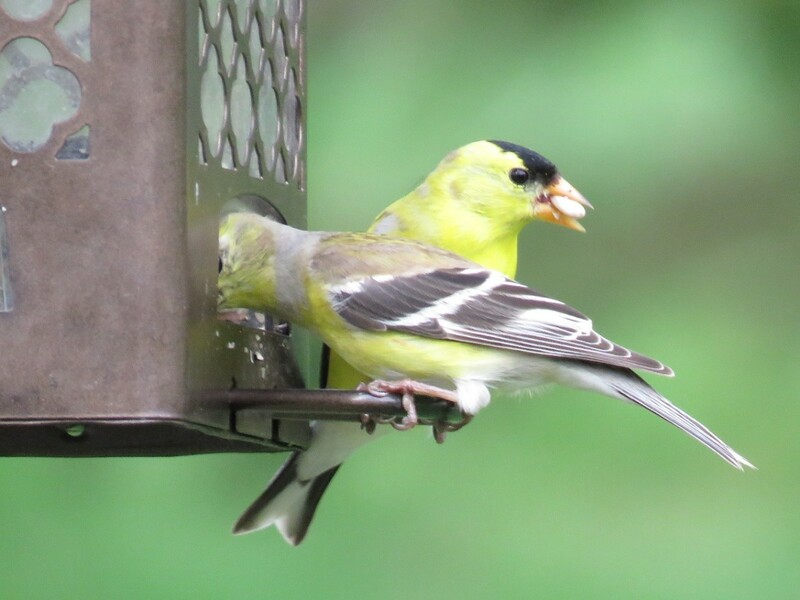 It’s easy to see that problem birds are attracted to feeders as well as desirable species. However, feeding birds seems to have more of a positive impact on nesting than negative. Thanks to feeders, parent birds are better nourished and can spend less time searching for food and more time tending to the nest. Brood sizes increase in regions where birds rely on feeders, and stress on both parent and fledgling is lowered because of more available food sources. In fact, according to an analysis by the Cornell Lab of Ornithology 3, bird species that frequent feeders are doing just as well or better than those that don't. If undesired species are taking hold around a bird feeder, deterrents such as changing the type of feeder used or the seed offered may prove effective. For example, Blue Jays would have trouble perching on most tube-style feeders, where smaller species like Goldfinches and Black-capped Chickadees would do fine. Please note, the term “undesirable” is used here only to indicate that artificially promoting certain species would have a negative impact on a bird population, not to suggest that any one species of bird is more valuable than another. The Blue Jay is often blamed for nest predation behaviors. Bird feeders are known to attract critters besides birds, and some of them aren’t there for the seed. Housecats may set up shop around a bird feeder, waiting for lunch to fly by. Hawks may see feeders as a place to grab an easy meal. Overhead cover gives birds a sense of security, and an easy escape route should trouble emerge. 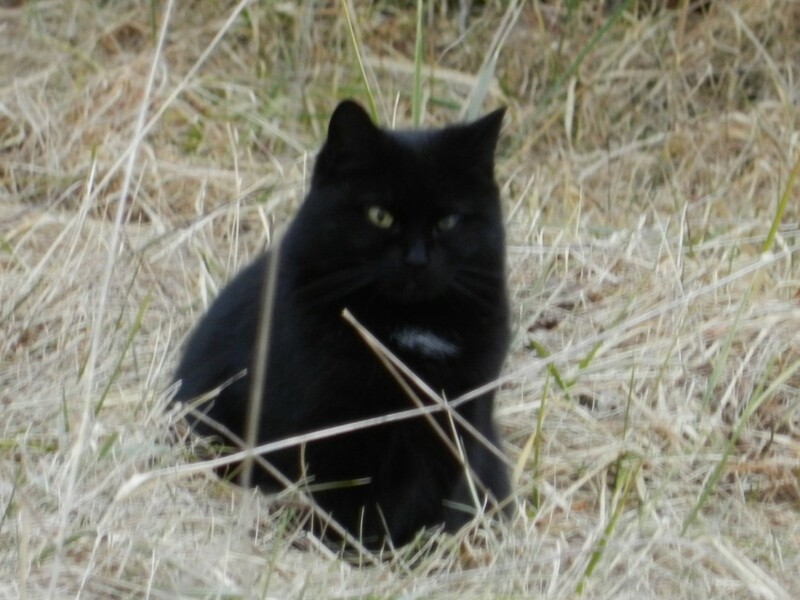 However, bushes, gardens and small trees can also serve as the perfect ambush spots for cats and other predators. The ground is a dangerous place for a songbird. The house cat issue is a serious one, as cats kill millions of songbirds every year. They have negatively impacted bird populations in many cases, at least regionally. The problem is ultimately solved when pet owners decide to be responsible and keep their cats indoors 5, but until then the best most bird enthusiasts can do is keep an eye out for trouble and remove the feeder if cats start coming around. Hawks and other predatory species can be a similar issue. A hawk may one day realize that a bird feeder is providing easy access to birds he’d normally have to work hard to find. Again, removing the bird feeder and encouraging the hawk to move on is the best solution. Stray and wandering house cats can be a major problem around bird feeders. Bird feeders have been blamed for the spread of disease among the avian populations, and it’s a legitimate concern. And, while it’s extremely unlikely, there is chance birds can carry disease that could be transmitted to humans as well. Is this a good reason to stop feeding the birds? Several steps can drastically reduce the chances of a bird feeder becoming a disease haven, and a little work on your part can help control this problem. Feeders should be cleaned every couple of weeks with a 10% non-chlorinated bleach solution. 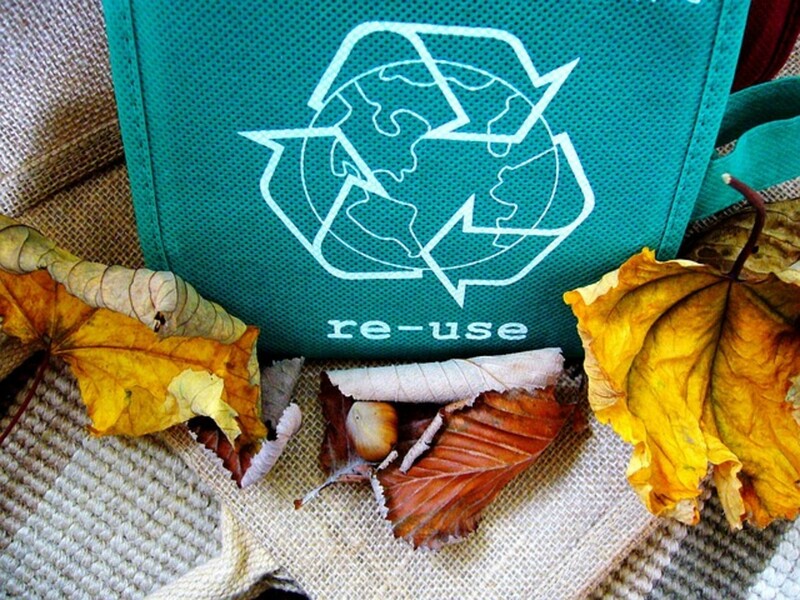 If you see a great deal of seed waste or bird dropping in the area you may wish to increase this to weekly cleanings. The area beneath a feeder where seed hulls accumulate should be raked and cleaned up at least weekly. This area where seeds fall is also where mice and other small rodents like to visit, so keeping this area clear may help to keep those little undesirables away. Seed must be stored in a dry, secure area to prevent mold growth and pillaging by rodents. Chipmunk, squirrels and mice can and will find creative ways to get into your seed, so it may take a little trial and error before you find a container to adequately deter them. Feeders and the surrounding areas should not have sharp edges that might cause injuries to birds and result in wounds that can become infected. Don’t let the birds crowd each other: If overcrowding becomes an issue set up another feeder to alleviate the congestion. Overcrowded feeders have the potential to transmit disease. It is okay to feed ducks, geese and other waterfowl? Until now this article has dealt with songbirds, but feeding ducks and geese is another serious issue. Foods such as bread and popcorn are not ideal for waterfowl, and they can become weaker over time if they rely on these items. Unlike their songbird cousins, they may prefer to stay close to their reliable food source. They are less likely to want to migrate south as they should, and overwintering in harsh climates can cause stress and disrupted breeding habits. But there are dangers to people as well. Human-dependent birds can become aggressive, and their population can increase to the point where it causes a strain on the ecosystem. In short, do not feed waterfowl. They can and will find their own food, and increasing their dependence on people is detrimental to their well-being. 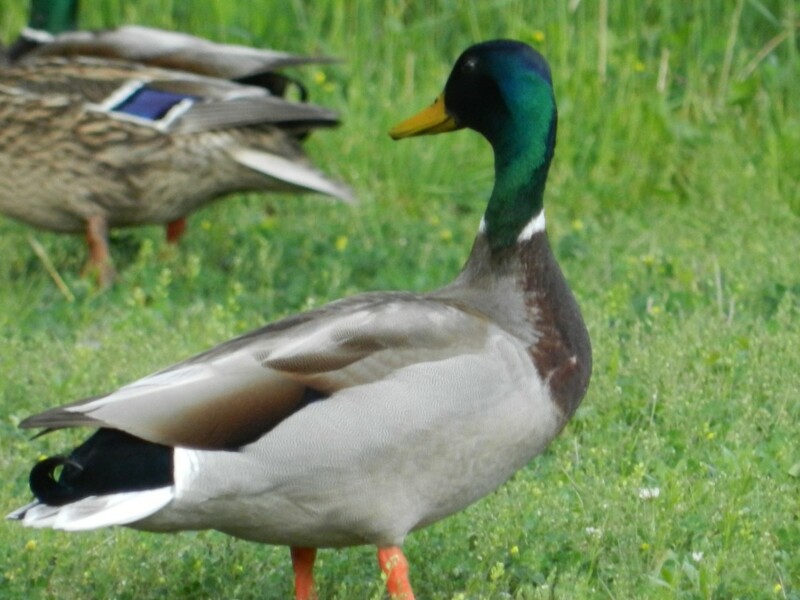 Feeding waterfowl may be harmful to their health. In most cases it’s not only okay to feed wild birds but it’s also good for them. The extra boost of calories and nutrition they get from bird feeders helps to reduce stress during breeding months, gain strength needed for migration and to survive a harsh winter. They’ll still find other food elsewhere, and you don’t need to worry about starving them if you go on vacation or stop feeding all of a sudden. But care must be taken to practice responsible feeding habits, and keep the feeding station safe for people as well as the birds. 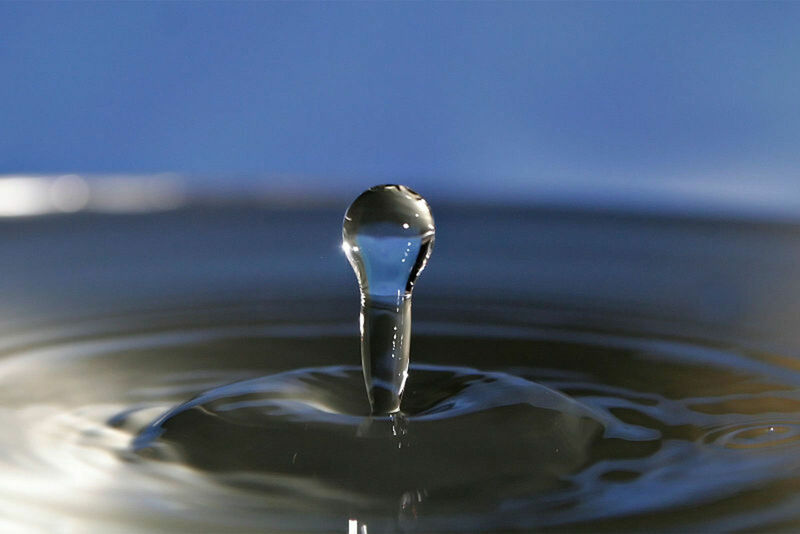 Keep feeders clean by performing simple weekly or bi-weekly maintenance. Watch for cats and predatory birds, and remove the feeder if they come around too often. Be wary of invasive species and take steps to discourage them if they start to get out of control. And please don’t feed the ducks and geese! By building a backyard bird habitat we can participate in nature, learn about ecology and do our part to make the world a little better. Feeding the birds is a rewarding pastime and beneficial for both people and birds, as long as it is done with care. 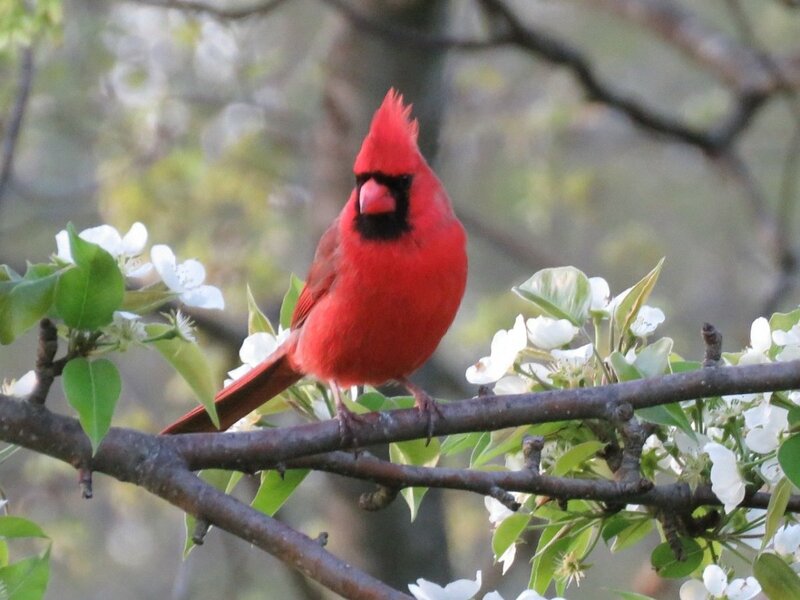 Enjoy the birds in your backyard! 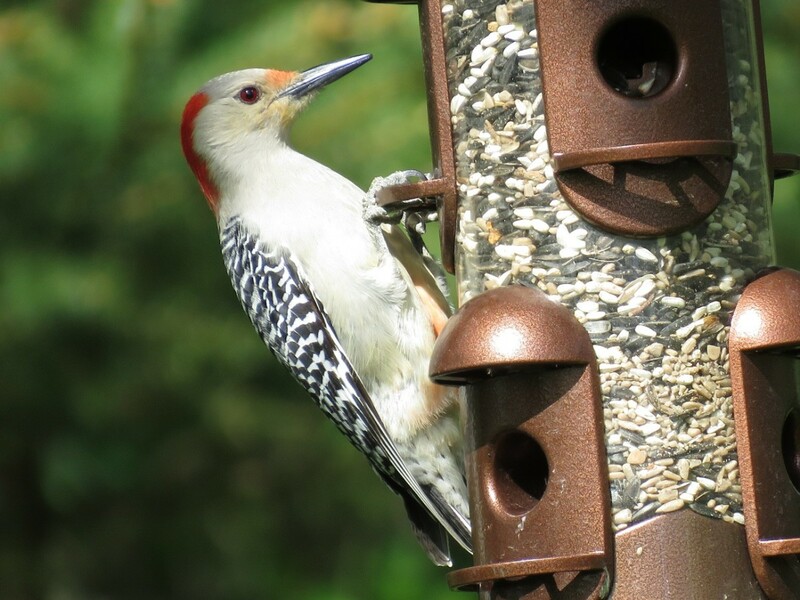 Do you have a bird feeder on your property? Yes, and I'm convinced it's a good idea. Yes, and I think I should take it down. No, but I'll put one up. I don't have one, but I'm convinced they are bad for the birds.